Every man was once a boy. And every little boy has dreams, big dreams: dreams of being the hero, of beating the bad guys, of doing daring feats and rescuing the damsel in distress. Every little girl has dreams, too: of being rescued by her prince and swept up into a great adventure, knowing that she is the beauty. Talk to Him. Hear from Him. Really. 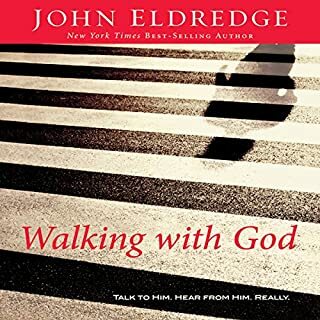 Follow one man’s journey of learning to hear the voice of God. 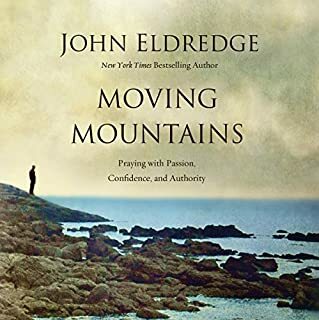 By putting words to the things God has shown him through some amazing experiences, John Eldredge helps listeners shed light on the miraculous truths that God is showing them right now. Our deepest need is to live in conversation with God. To hear his voice. To follow him intimately. This is the single most life-changing habit that a human being can adopt, because it brings us back to the source of life. Yet most Christians have never been taught how to have a conversation with the Creator. Join the conversation as a father and son talk about pursuing beauty, dealing with money, getting married, chasing dreams, knowing something real with God, and how to find a life you can call your own. 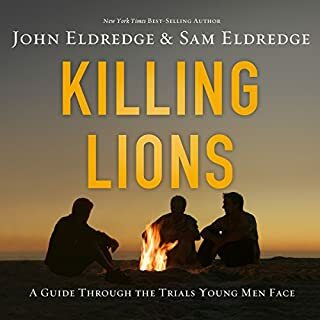 Killing Lions is more than fatherly advice. It is an invitation into a journey: either to be the son who receives fathering or the father who learns what must be spoken. Most important, these conversations speak to a searching generation: "You are not alone. Its not all up to you. You are going to find your way." This audiobook, aimed at men, explains how God longs to complete their growth through the six stages of manhood. It also seeks to show God's desire to equip them as fathers to initiate their sons to manhood. Jesus said, "I have come that they may have life, and have it to the full." That's the offer of Christianity, from God himself. This revolutionary book about our future is based on the simple idea that, according to the Bible, heaven is not our eternal home - the New Earth is. As Jesus says in the Gospel of Matthew, the next chapter of our story begins with "the renewal of all things", by which he means the Earth we love in all its beauty, our own selves, and the things that make for a rich life: music, art, food, laughter, and all that we hold dear. Everything shall be renewed "when the world is made new". From childhood on, something or Someone has called us on a journey of the heart. It is a journey full of intimacy, adventure, beauty, and more than a little danger. The Sacred Romance calls to us in our fondest memories, our greatest loves, our noblest achievements, even our deepest hurts. The reward is worth the risk. God Himself longs for us, if we are but willing. Sometimes it seems we just can't get what we want. Circumstances thwart our best-laid plans. We struggle to live a heartfelt life. 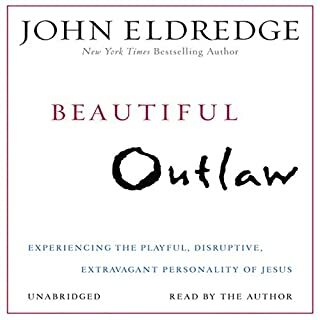 Worst of all, says Eldredge, the modern church mistakenly teaches its people to kill desire (calling it sin) and replace it with duty or obligation (calling it sanctification). The world and our lives reflect the heart of God. Every fiber of our beings, our desires, and the deepest longings of our souls reflect the beautiful themes of his person. 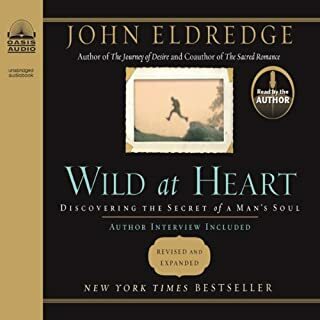 In The Refreshed Heart, join John Eldredge as he explores what God has designed into us and the workings of the world that reflect who he is. God has dreams - just for you. Becoming Myself is a hope-filled audiobook for anyone who wonders if her life will ever change - if she will ever change. 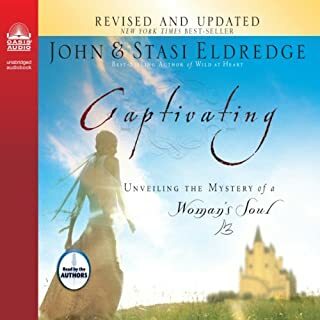 In Stasi Eldredge’s most intimate work yet, she shares her own struggles with self-worth, addiction, and her past as she shows listeners how God is faithfully bringing us to a life of freedom and wholeness. God desires to restore us, and he is able to restore us - the real us. As he heals our inner life he calls us to "rise to the occasion" of our lives. This dramatic retelling of the gospel illuminates the unique role we can play in the amazing story God is telling. Sure, good things happen, sometimes beautiful things. But tragic things happen too. What does it mean? We find ourselves in the middle of a story that is sometimes wonderful, sometimes awful, usually a confusing mixture of both, and we haven’t a clue how to make sense of it all. No wonder we keep losing heart. We need to know the rest of the story. There is a path leading to authentic manhood, cut by men who have gone before us, sons following in the footsteps of their fathers, generation after generation. There are perils along the trail, even disasters - all the more reason to rely on the guidance of a father who has gone before. Fathered by God maps out the path of manhood - not more rules, not another list of principles, not formulas, but a sure path men have followed for centuries before us. Find that path, and become the man God sees in you. Books read by the author are very hit-or-miss, and unfortunately I'd have to say more often it's a miss. This was just the opposite. This may be the best author reading I've heard. The content was wonderful and exactly what I need, and I felt like John and I were sitting in a room together having a conversation. Eldridge it again! God is using this guy to mentor me! I am a different man after going thru Wild at Heart & Fathered by God! Thanks John! 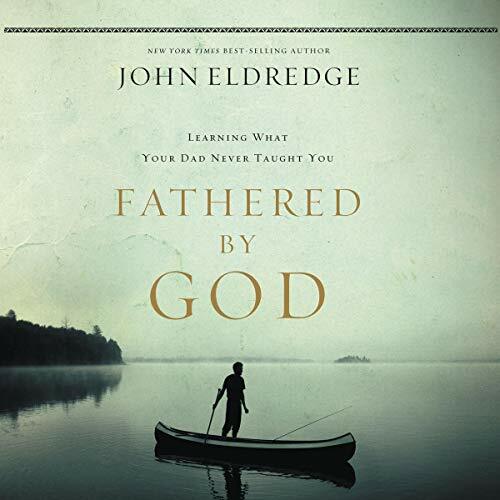 This book is a must read if you are a father… Or a man who has ever had a father or been wounded by a father or in search of a father or just looking to have questions answered you might not have even known you had.. It is for any wife or mother who wants her husband to be this man and her son to develop properly as a man.